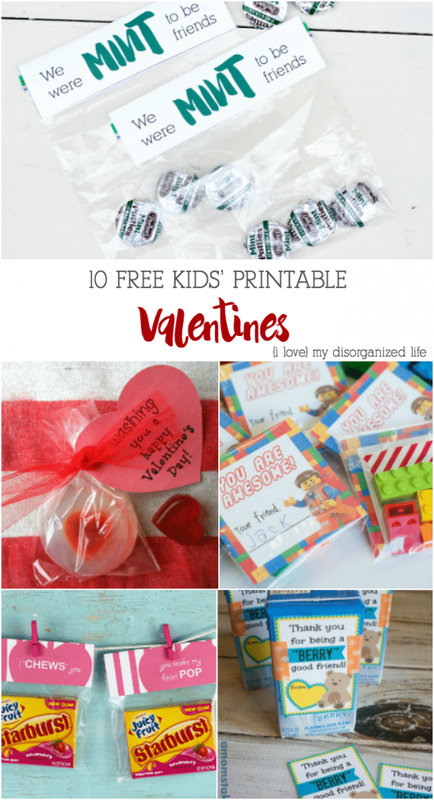 This free treat bag topper is a fun and simple way to celebrate Valentine’s Day. 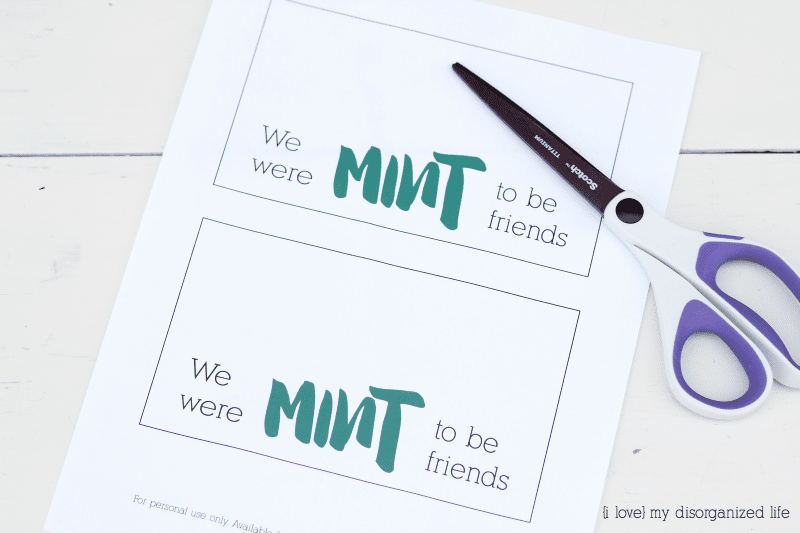 Simply download & print and you’re on your way to a fun Valentine’s Day. 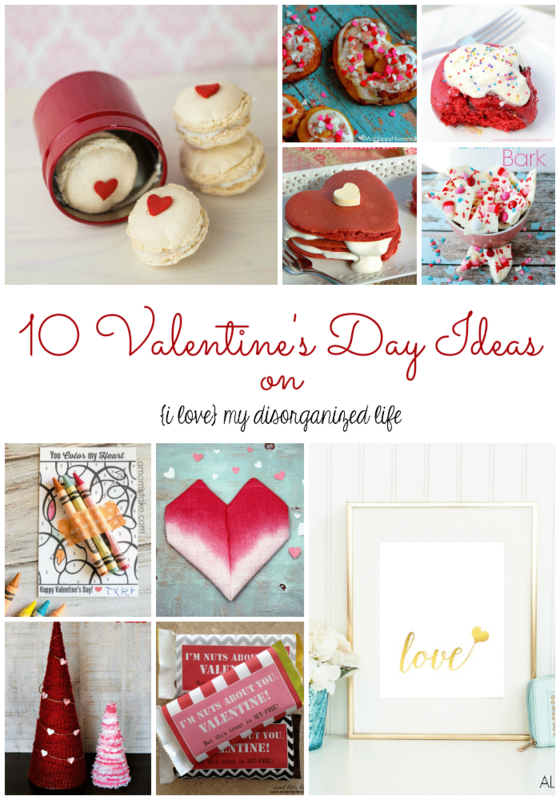 Looking for a fun and different Valentine’s Day card for your kids to give out this year? 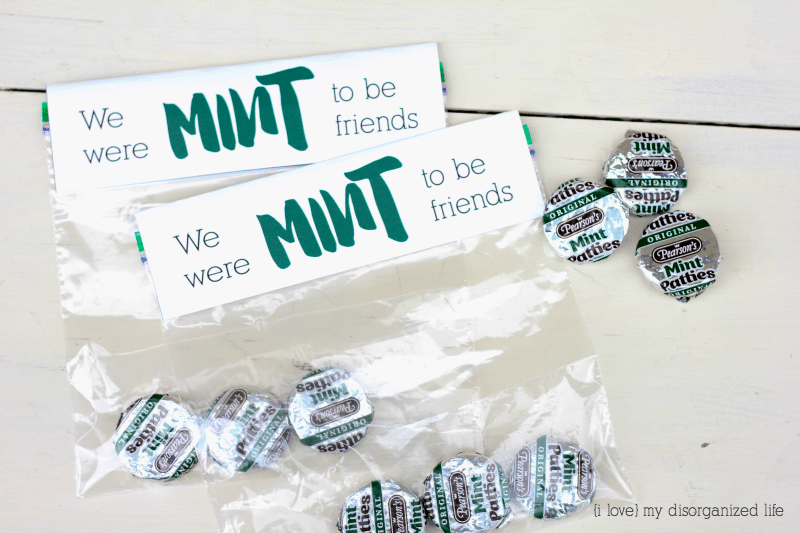 I am in love with these cute “Mint to be Friends” treat bag toppers! 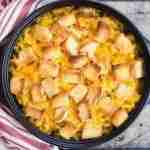 They are easy-peasy to put together, and you only need a few items to do it. 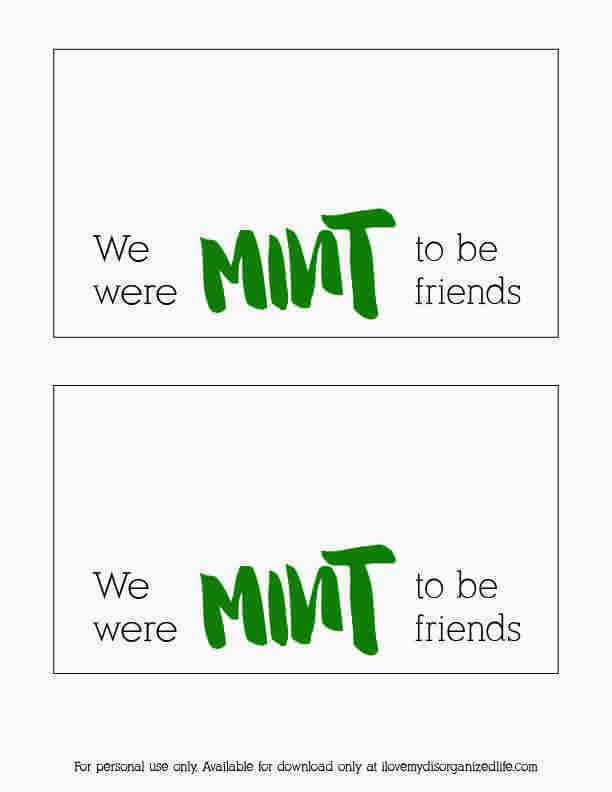 First, you’ll need to download the free printable below. Next, print out as many copies as you need, depending on how many you or your child will be giving away, and cut them out. Once you’ve got them all cut, fold them in half. You can use a scorer if you like, but I don’t have one and the Valentines still turned out fine. 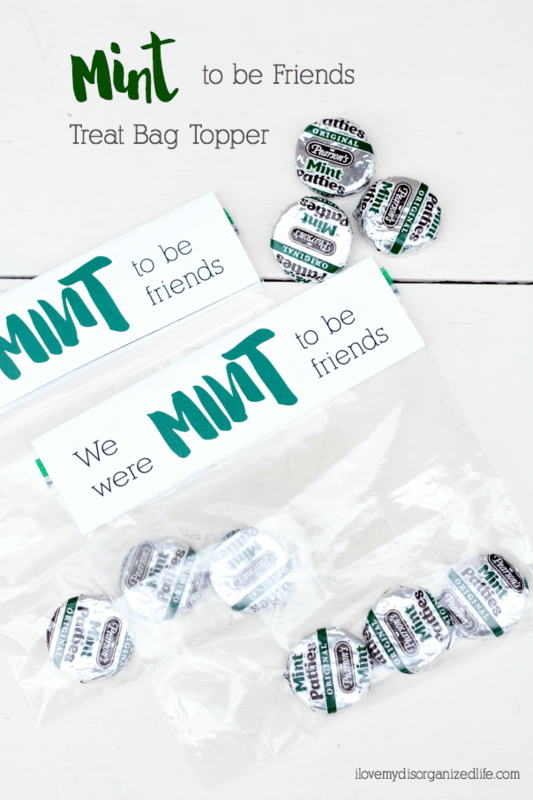 Place two or three mints in each bag and seal. Snack bags are really a better size, but sandwich bags is what I had on hand. Don’t feel like you need to go out and buy anything special here. 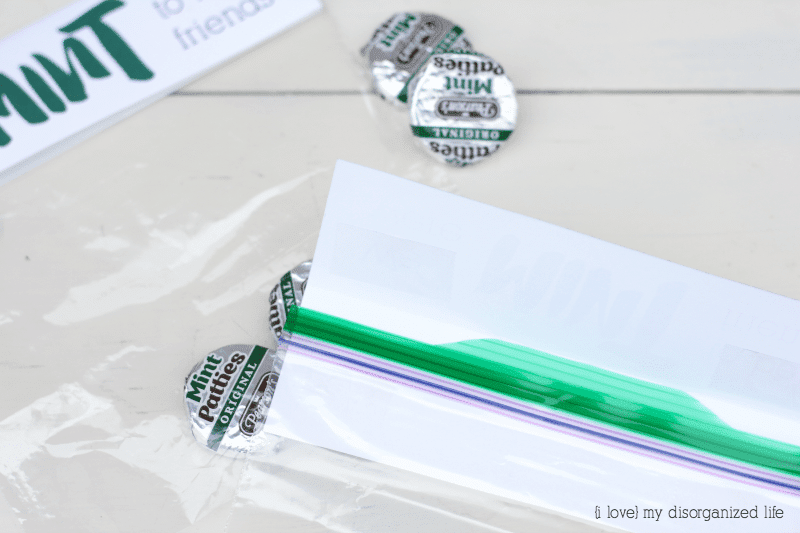 Using either double-sided tape or glue dots, attach the toppers as shown. 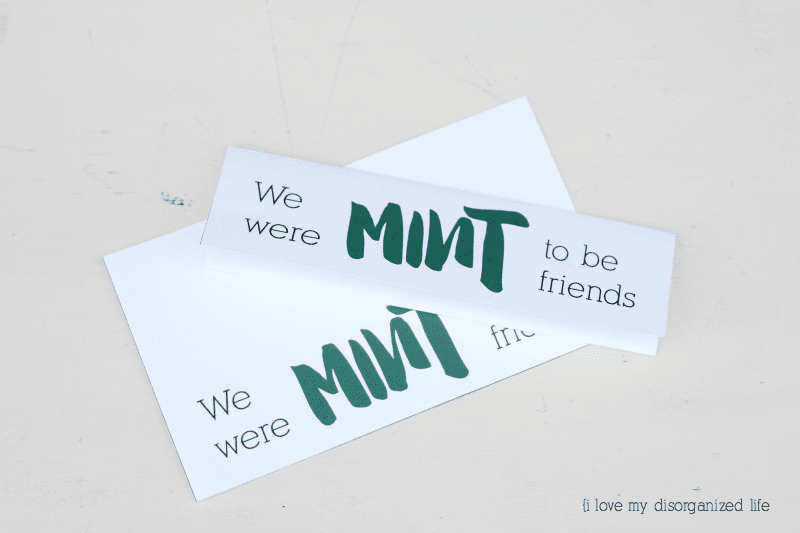 You can write ‘to’ and ‘from’ using the blank space on the back, which is ideal for kids giving to friends, or you can leave it blank, there are no rules here. 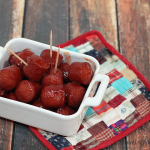 I love how easy these are to put together, perfect for last-minute moms like me!